All Saddlebrook Add homes currently listed for sale in Colleyville as of 04/20/2019 are shown below. You can change the search criteria at any time by pressing the 'Change Search' button below. 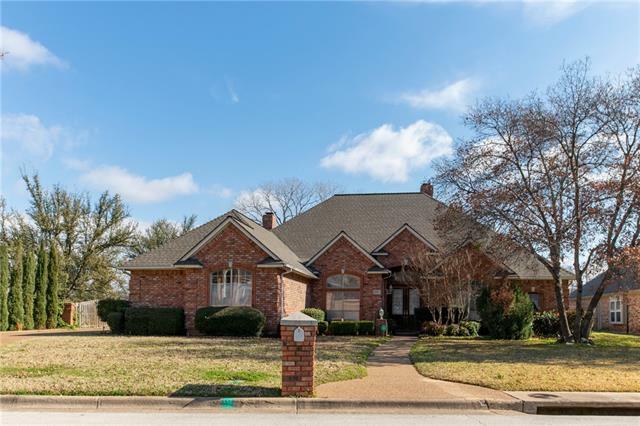 "Amazing ONE story 4 bedroom 4 bathroom w 3 car garage home nestled in cozy Saddlebrook subdivision in the heart of Colleyville.GCISD schools.Home has marble entry with double doors.Gourmet kitchen and island w plenty of counterspace.Each 4 bedrooms have their own private bath.Great open floor plan w 2 living areas. Large master suite w a grand closet & private master bathroom. Bedrooms are good size and split from the master.Wet bar for entertaining.Oversized laundry room with cabinets and spac"